One of the best moments to enjoy a bar of Chocolate Santander is when you can share it with your family, having a good conversation, joy and celebration, sharing and discovering each other’s likes and tastes. 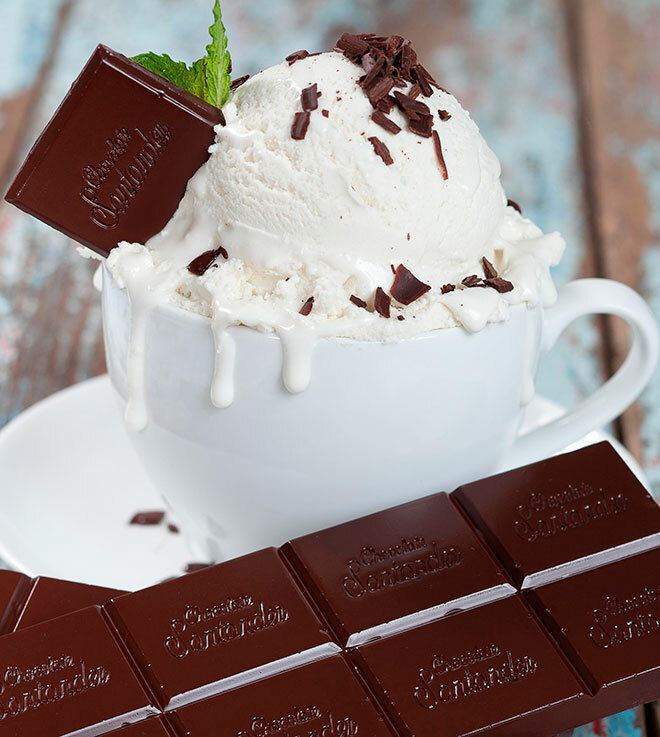 Desserts, ice creams, canapés, entrées, and amuse-bouches or a chunk of delicious Chocolate Santander, paired with a good wine or coffee, are ideal treats to enjoy at a family get-together. For a sunny afternoon with your family filled with laughter and fun, try a chocolate cake made with 65% Chocolate Santander and 70% Chocolate Santander frosting; it’s an ideal combination of flavors to pair with coffee and those great family stories that move us. To have after your meal, try this perfect combination that you will enjoy and want to have more of: 53% Chocolate Santander Wild Blackberry, 65% Chocolate Santander, and 70% Chocolate Santander with a shot of Cointreau. The sweetness and aroma of this special liquor, made from oranges, is an exceptional pairing for the different percentages of cacao in Chocolate Santander. Sharing with your family is always a memorable experience, but when you pair it with Chocolate Santander, it will be unforgettable; you will want to do it again more often! Enjoy their company with Chocolate Santander.